Effective method for stretching the spine by applying specific back traction. Weighs just 23 pounds for easy transport. Use at home or work. Measures 72″ long by 25″ wide and 11″ high when assembled. Will support up to 250 pounds and a 6′ 5″ height. 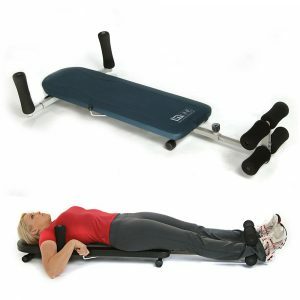 While some use for upper and lower back, the bench really targets the lower 3 lumbar segments. Gray model has neck pillow for added support and a measure of cervical traction. 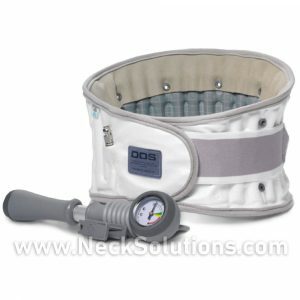 The gold standard in home traction devices, the Saunders lumbar traction offers clinical strength spinal decompression. No assembly required. Used on your back or on your stomach. It can be used on a bed, so you do not have to bend down to the floor. 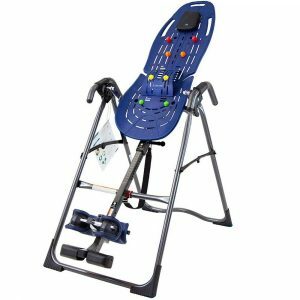 The inversion therapy table by Teeter has been shown in a study to reduce the need for back surgery. Study reviewed below. Based on leverage, the low back traction device is a mechanically assisted manual method of applying traction to the lower back. By lying flat, less force is required to produce traction decompression, and you simply push on the device to produce the pain relieving force. Inversion helps your body to recover from the compression effects of gravity and daily activities. 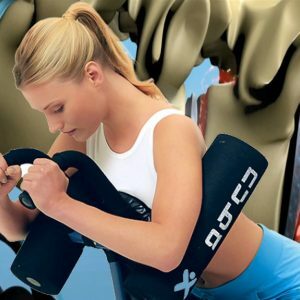 It stimulates circulation of blood to relieve stiff and painful muscles, increases body flexibility, clears muscle congestion, and increases physical and mental energy. Inversion is used to treat many areas of the spine. Large adjustable headrest pad. Six position adjustable pin system for easy positioning and safer inversion than strap systems. True balancing system for easier inverting. Ergonomic & reversible ankle holding system. Accommodates users 4 ft-10 in to 6 ft-6 in and a 300 lbs. weight capacity. 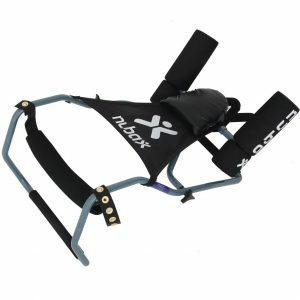 The Spinal Decompression Belt has proven results and quality not found in cheap imitations. When it comes to relief for back conditions, this is the best. Provides continual pain relief for active people which permits independence in order to maintain a productive life style. Based on scientific principles, accurate application as well as uncomplicated use. Back traction is generated by the device when the belt is inflated. 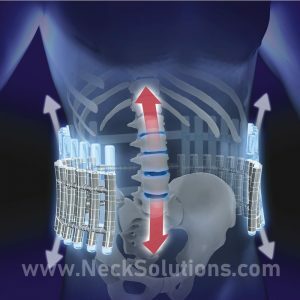 The unique air cell extension reduces loading pressure in the lower back expanding the disc by means of securing beneath the rib cage and above the pelvis, stretching out the lower back in an up and down direction. 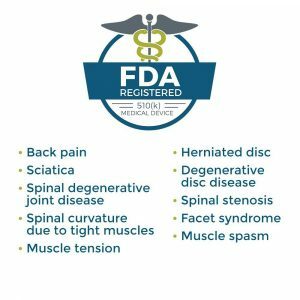 This redirects weight bearing force vertically and decreases the forces inside the lumbar spine, which may substantially lessen back pain from compression forces. 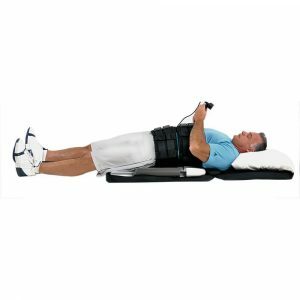 The Home Back Traction provides a unique pumping action to help alleviate back muscle and joint stiffness, improving segmental motion, increasing and helping to restore normal disc function. It works to help reduce some of the causes of pain from compression, poor posture and the degenerative effects of osteoarthritis. 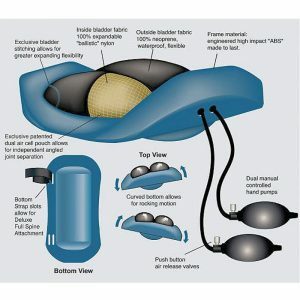 This is a special therapeutic traction device that you can use at home. 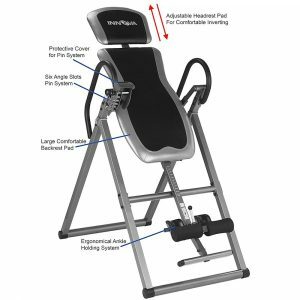 We only use the authentic Posture Pump® Disc Hydrator® Elliptical Back Rocker™ Model 2000 with years of research and results. 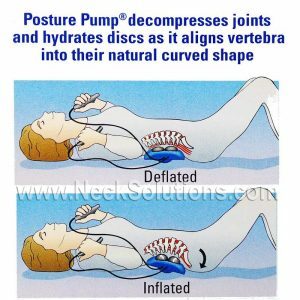 Two hand controlled inflation pumps control the action by providing a system which offers a comfortable and progressive method which slowly decompresses the spine through lifting, stretching and separating the joints around the discs. The Nubax Traction Device Is A Clinically Tested Back Decompression Unit For Home Use That Has Proven Results For Pain Relief. Helps Disc Herniations, Bulges, Arthritis, Scoliosis & More. Assembly Required. 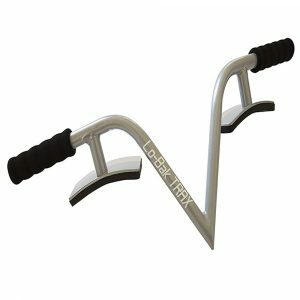 Traction For Lower & Upper Back. FDA-approved back traction device can be assembled in 10 minutes. Detailed Video Instructions In Description.